Facebook was the first form of social media I used to grow my business! I first established my personal page in my sophomore year of college. After graduating and starting my own photography business, I used social media to grow my brand. I’ve see the power of social media and how it has positively impacted my business, so I thought this would be a great topic to blog about! 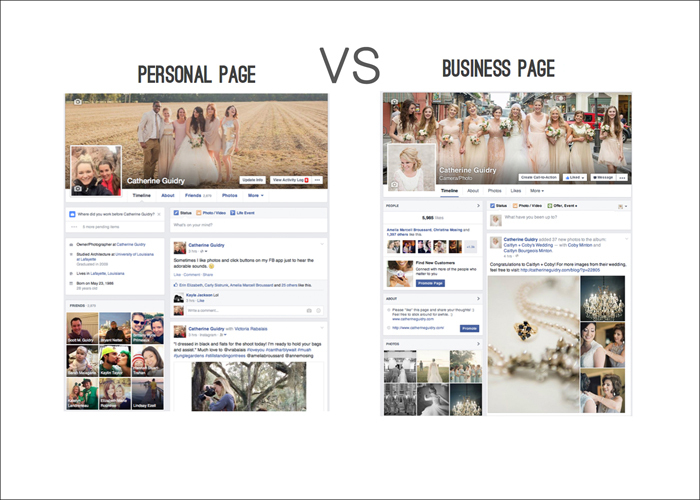 Although it would be easier in some respects to use a personal page for business(including the ability to send out friend requests rather than waiting for fans to follow your page), it’s ideal to create a separate page for business and personal. 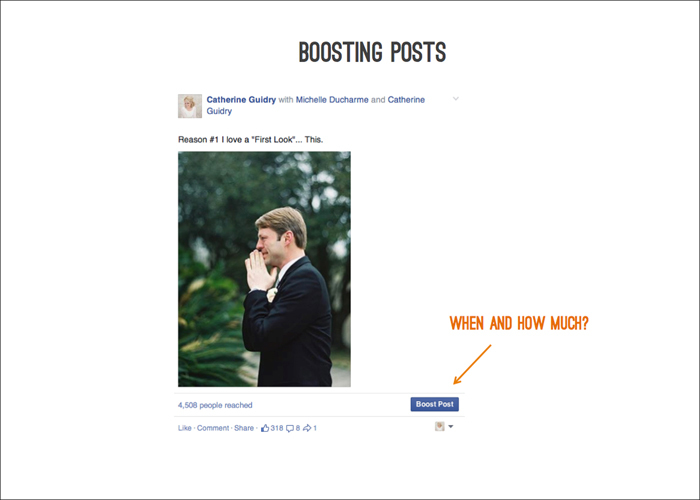 By separating your pages you remove the 5,000 friend limit that exists on personal pages. You also give yourself the opportunity to really hone in on your business marketing and focus on putting out only those type of posts on that particular page. Having a business page is also more professional and allows you benefits such as advertising posts and tracking your reach. 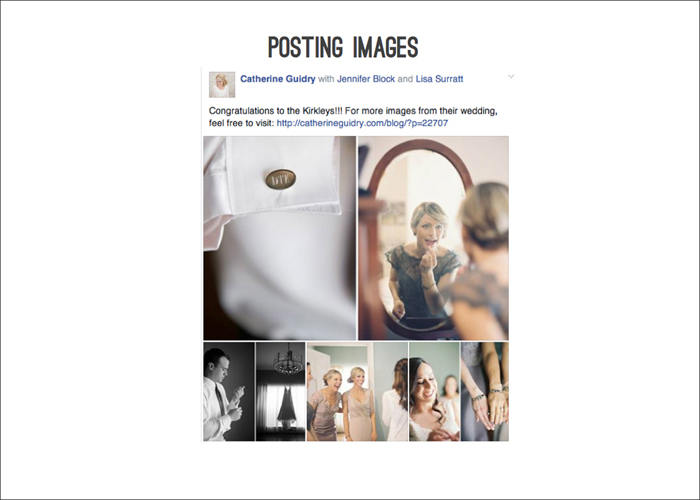 Because your profile photo is the first image that represents your business page, you’ll want to take particular care in choosing it. This image must be high quality and inline with your brand. 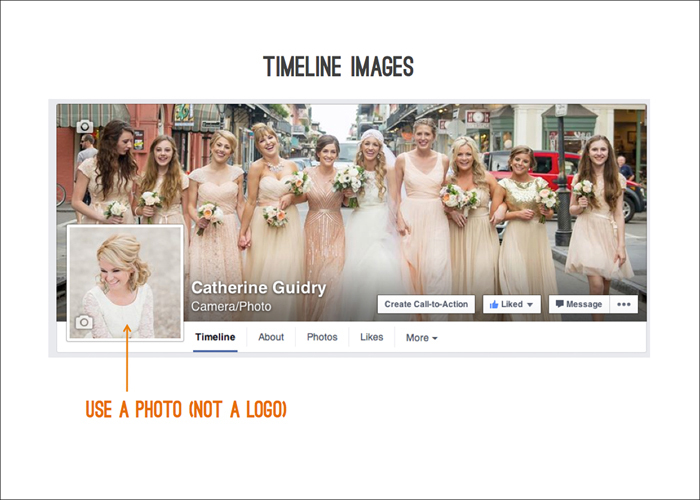 I suggest using a photo of an actual product or person rather than a logo as it’s more appealing in the newsfeed. In regards to the cover photo, the same rules should apply. The image must be eye catching, fitting for your brand and an image of someone or something rather than a logo. I’ve seen some really beautifully styled images with sayings, which is also a great idea. There are a ton of distractions that exist on Facebook. The goal for me is to get my visitors motivated to visit my website or blog. One of the ways I do this is through ‘Teaser Posts’. Rather than posting all of the images from a wedding or session, I’ll post one and a link to my blog post if visitors are interested in seeing more! It’s a great incentive to get people to leave Facebook; and it actually works! Following the initial teaser post (maybe a few hours or even a day), I will eventually post the rest of the images from that shoot or wedding. This allows those who didn’t click over to see more of my portfolio images. It also creates an excuse for me to post more images from that same event at a later time. I have a friend who’s also a business owner but never feels like she can find something to post about. The truth is…I’ve seen people take something small and typically uninteresting and make something interesting out of it. 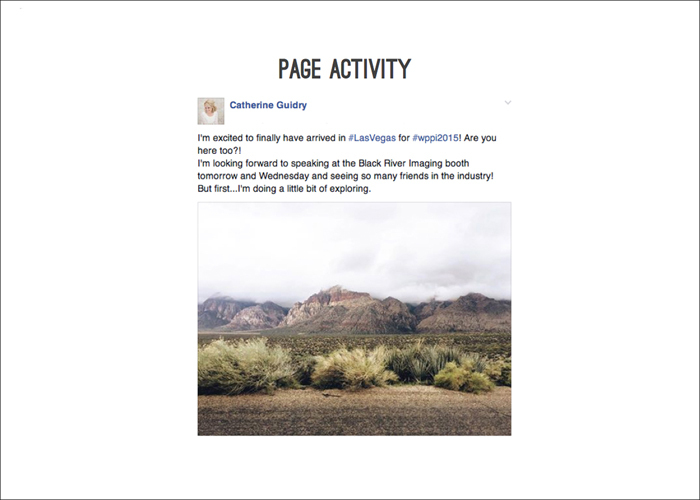 Keeping your page up to date and active is great because it keeps your business on the radar of past, present and future clients! It creates a sense of trust and loyalty…and just allows them to get to know you better on a daily basis. When traveling, I like to post about my adventures. It allows clients to witness a more personal side of my life and allows them to visually see that I’m away(rather than simply reading an away message). I’ve spent a ton of advertising money on magazines and online blogs. However, I find a more immediate and gratifying result from advertising on Facebook. Although the bulk of my Facebook advertising money was initially geared toward growing my following. Now, I advertise primarily through post boosts. I choose posts(such as the one below) that I feel will really catch my fans attention and then I pay to make it more visible. I’ve never spent more than $15 on a post, however I’ve seen great results from doing this in the past. 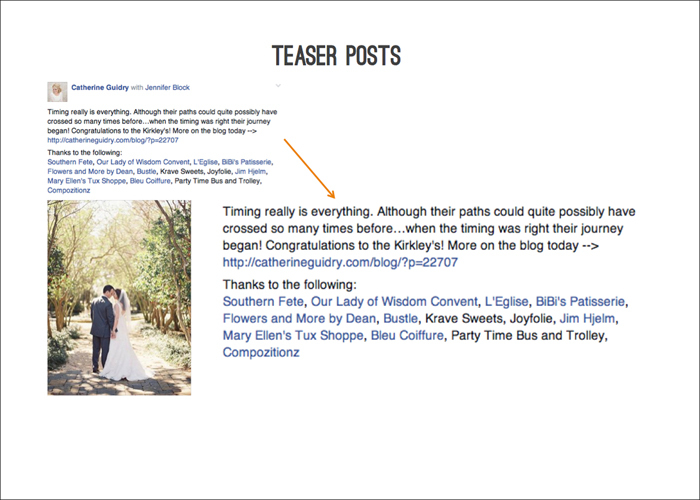 I think boosts are especially powerful when you have a link back to your blog and are using the boosted post as a teaser or preview. The week following a new client booking, there’s a to-do list that I follow. 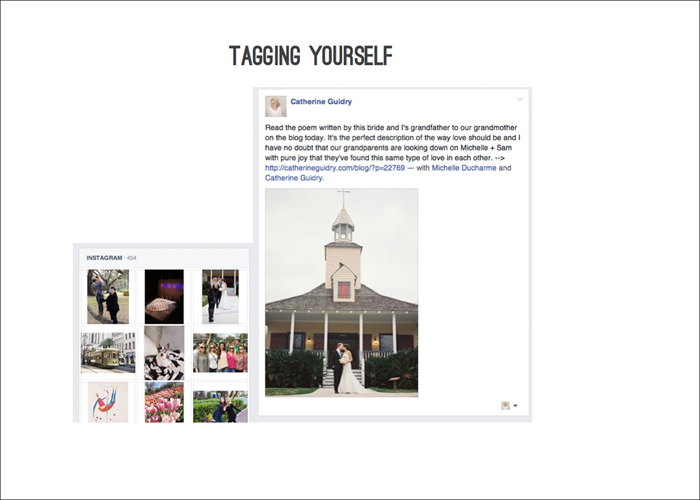 On the to-do list, one item I always check off is to ‘Friend them on Facebook(from my personal page).’ When the engagement session rolls around, I want to already have the ability to tag them in images. Otherwise, my workflow would be delayed. 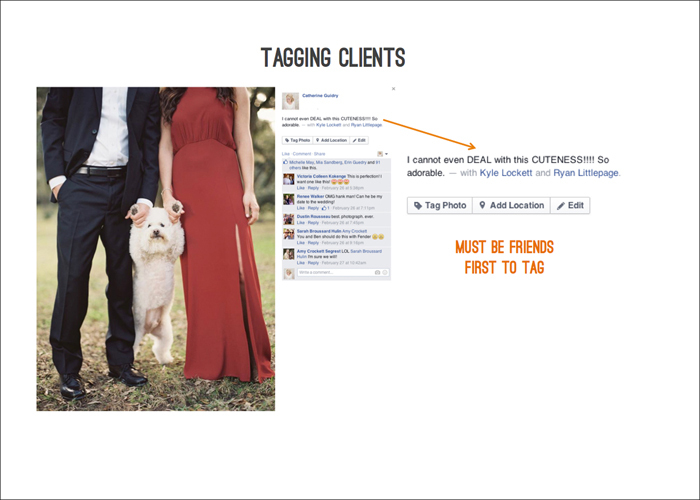 Tagging clients in images allows their friends to see the photos I’ve taken of them. 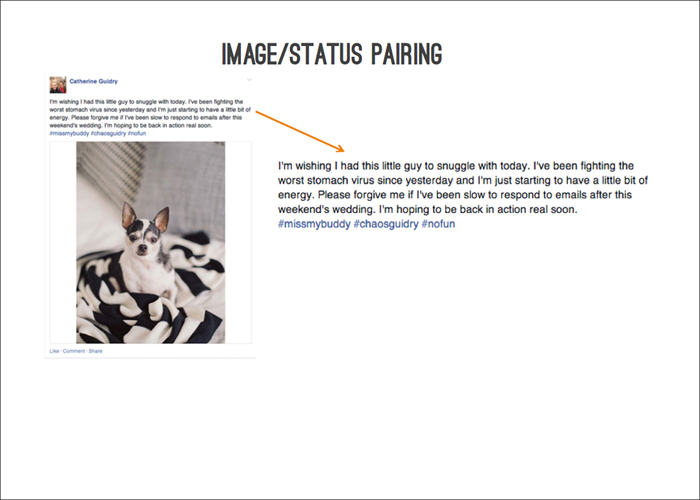 Initially the images will show on their timeline and in the newsfeed; but even months later these tagged photos can still be found in their photo galleries. Although I do like some separation between my business and personal posts, every now and then(especially if it’s a ‘behind-the-scenes’ photo of me working), I’ll tag myself. There’s a separation between the followers of my business and personal pages. But the goal is to have them all be both friends and fans! Reminding friends that I do own and run a photography business sby taffing myself is a subtle way to encourage them to check out the business page as well. Facebook is more text oriented than some social media platforms such as Instagram. But never forget the power of an image! (It is worth a thousand words after all). I find posts on Facebook to be much more successful when paired with a photograph. Especially when the image is strong and visually enticing…it may even pull in someone who’s less text oriented! 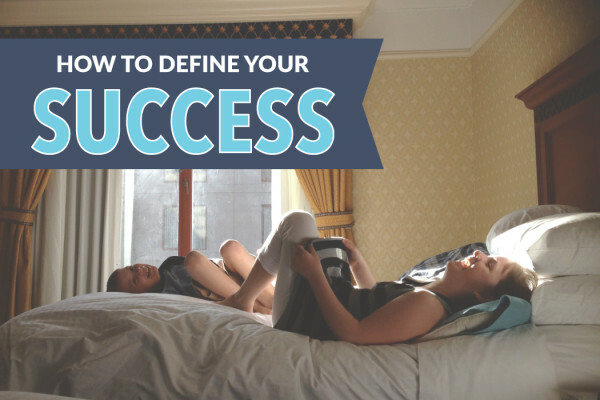 I don’t remember the exact saying…but it went something like ‘the best definition of success is empowering others.’ In any industry you’re going to create and form relationships that will help you grow. In turn, you should do your best to help others as well. If there’s a company that I believe in, I want others to know about it. As an entrepreneur myself, I realize the power of word-of-mouth! 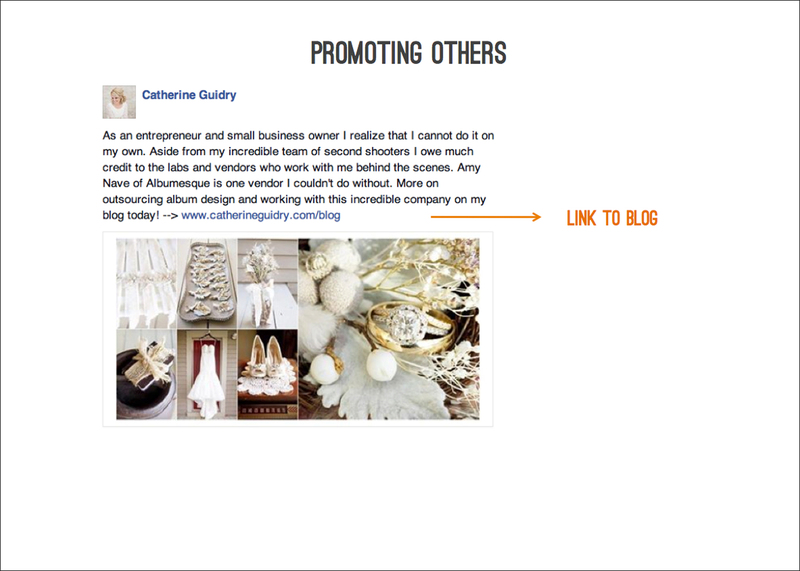 Talking about and tagging others will really help them…and bring up your industry as a whole. If you’ve made it through this post…Congrats! You’re already showing the desire to grow and learn.